Barcelona will reportedly face increased competition for Benjamin Pavard, as Juventus have joined Bayern Munich in the race to sign him. 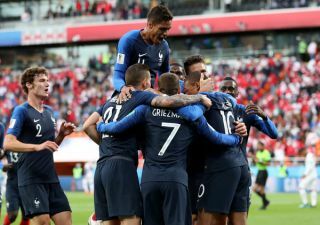 The 22-year-old has enjoyed quite the rise over the past four years, going from the Lille B team to a regular for Stuttgart while featuring prominently in Russia to help France secure World Cup glory. In turn, his stock has undoubtedly risen and as he continues to impress for club and country, with his versatility allowing him to play either in the centre or at right-back, it has reportedly led to growing interest from around Europe. As reported by Calciomercato, Juventus have been keeping tabs on the young defender, joining Barcelona and Bayern in having an interest in him as they’ll have to spend €30m to exercise his release clause. Perhaps with another impressive season under his belt this year to prove that he can consistently deliver at a high level could be enough to convince one of the three clubs mentioned above to make an official move, but time will tell who wins the race for his signature. The Catalan giants are seemingly set in the centre-half positions given coach Ernesto Valverde can call upon Samuel Umtiti, Gerard Pique, Clement Lenglet and Thomas Vermaelen. However, with Nelson Semedo continuing to fail to convince with Sergi Roberto deployed at right back, that could be where Pavard comes in to provide a solution. Further, given Juve signed Joao Cancelo this past summer, it’s questionable as to why they would want another right-back in the squad with Mattia De Sciglio able to provide cover. In turn, time will tell where Pavard’s future lies, but for now he’ll undoubtedly be focused on ensuring that he continues to develop and improve by gaining experience and playing regularly at Stuttgart.